The Bible is more than a collection of disconnected moralistic stories. It is God’s authoritative revelation of life. While many of it’s elements are easy to understand, plunging its depth’s is a life-long quest. 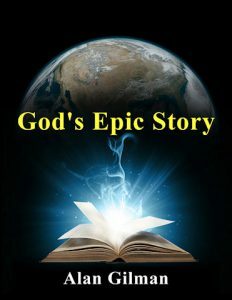 Alan’s core teaching, God’s Epic Story Seminar, is only the beginning. Alan also provides comprehensive courses and messages, customized for your congregation or group. Invite Alan now. Learn to effectively navigate the Old Testament. This thirty-six hour course provides an introduction to the Old Testament its thirty-nine books. Key concepts and themes are examined to provide you with the tools you need to effectively study this essential section of the Bible. Watch an excerpt from the introductory lesson, “Why Study the Old Testament.” It’s a bit raw, but will give a taste of what to expect. Ottawa “Thinking Biblically for Highschoolers” begins September 17, 2018. Registration remains open until October 8. Click here for more information. Alan shares what it means to experience God’s strength in spite of our weaknesses. Presented February 25, 2018. Alan explains the dynamic of the personal effects when confronting the world’s most crucial issues. Presented July 15, 2018. Alan explains how 1st century Jewish messianic expectation is key to understanding Jesus’s ministry (and ours). Originally presented March 28, 2010. Alan writes on a variety of biblical themes, bridging God’s Truth to the complexities of real life. Click icon to view. Since 1997, Alan has produced “TorahBytes” – a short commentary based on the weekly reading of the Torah (Books of Moses). Alan demonstrates the contemporary relevancy of this foundational aspect of Scripture through these practical, thought-provoking messages (text and audio available). Click on icon to view.